Over the past week, the Red Sox have been doing what they need to do to ensure themselves a spot in the playoffs (and the Rangers have been helping us out a bit). However, at the beginning of the week, we had a much bigger chance at maybe taking the division than we do at this point. If we had but swept the Royals (or even won the series), we would be in a much different position than we are now. What happened Monday night against the Royals was simply unacceptable. If that was the small hiccup before the big show, than that’s fine, but a solid bullpen is essential during the playoffs, and I think that Manny Delcarmen plays a very important role in our bullpen. 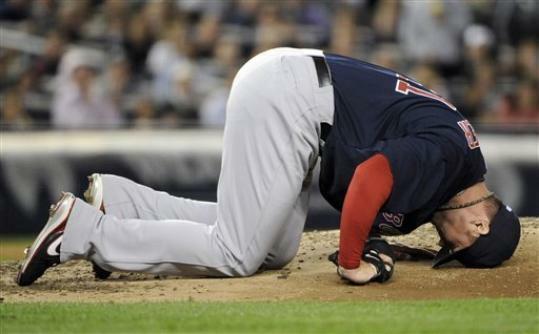 This game was obviously not very enjoyable to watch, but it just wasn’t the Red Sox’s night. A bullpen, no matter how strong it is, always has a meltdown every now and then. As the playoffs approach, one has to start wondering what the starting rotation is going to look like, and I think it is getting more and more solidified with every quality start that Dice-K Matsuzaka makes. 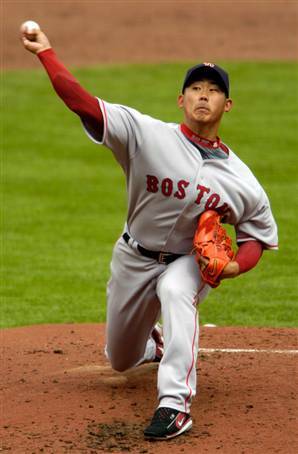 I think we would have a formidable four man rotation in Jon Lester, Clay Buchholz, Josh Beckett, and Matsuzaka. That is the more obvious part, the more obscure part is how, if at all, Tim Wakefield would fit into the postseason roster. As of right now, I do not think that it would be a good idea to have him pitching into October. Every time he goes on the mound, he looks like he is in pain. Wakefield could be in the bullpen as a reserve, but I am not sure if I would put him on the roster. What would you do? The next night against the Royals, I almost didn’t want to watch. Zack Greinke pitching against anyone is scary, but against Paul Byrd? We might as well forfeit!! Greinke didn’t even have to throw a pitch and we were already behind thanks to a beyond shaky first inning by Paul Byrd. With his ethereal pitches, by which batters are wowed. An artist as well–sculpting his pitches from the ground. A pitcher who is fragile, and not worth breaking. 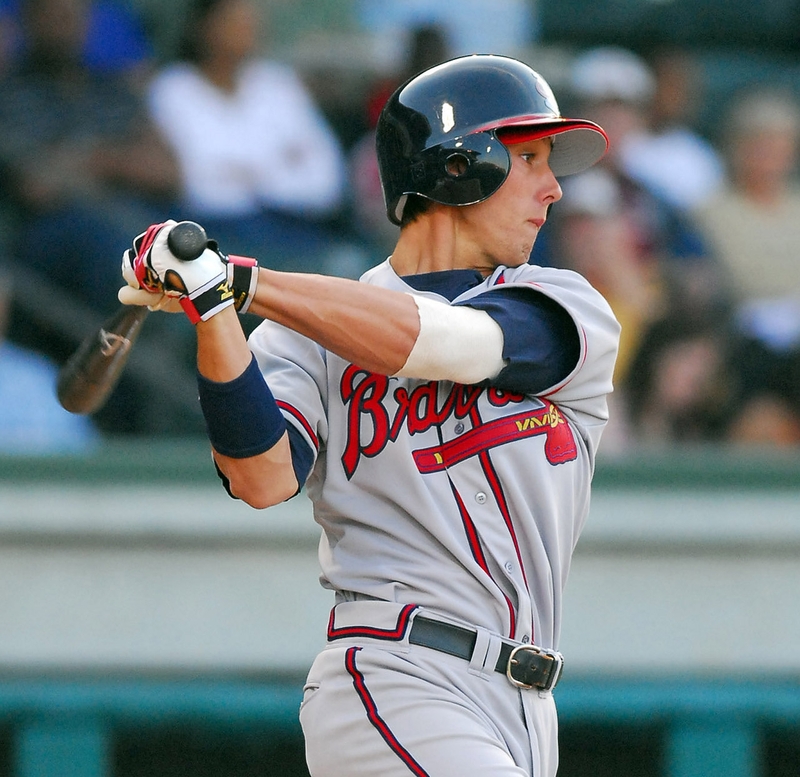 To an abundance of strikeouts, batters are inevitably prone. The fielders are lonely, for base runners are rare. Yet in Zack Greinke’s presence, they are honored to be there. This is a man no one can defeat. I am highly considering sending this to him. During the next two games, we were finally able to cool down the Royals, or at least score more runs than them. Beckett gave up 12 hits, but thanks to some well deserved run support, the Sox were able to pull through. 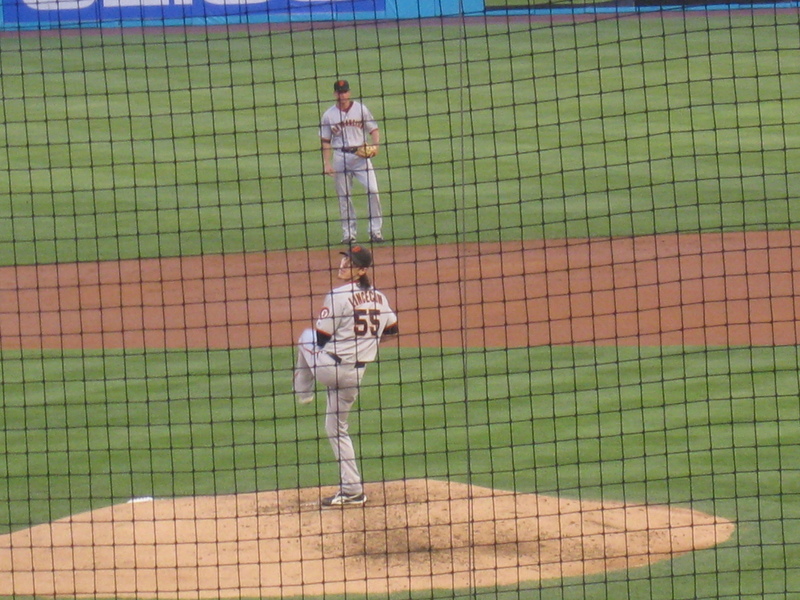 Buchholz followed with a stellar outing, and I was getting a bit scared that the bullpen was going to meltdown again when Ram-Ram came in and gave up three runs. You know, there was really no better weekend for the Red Sox vs Yankees series than this one. Thanks to my lovely Jewish brothers and sisters, no homework was to be given this weekend since it is Yom Kippour. Yet somehow, I know that I still have to do stuff for English. Anyway, the only thing I could think about all of Friday was the game. Plans this weekend? I think not, it is the last regular season series!!! While it would not have decided the division winner if the Red Sox were to have won or swept the series (now we’re the ones trying not to get swept), it would have made it a much closer race. Regardless of what happens, this could very well be the preview of the ALCS. 1999, 2003, and 2004. There couldn’t be a better matchup in postseason baseball. It is a series where all of my nails are bitten off by the end of the first inning of the first game. It is virtually impossible to multi-task and do homework. It is stressful, frustrating, exhilarating, and beautiful all at the same time. However, my confidence, as well as the Red Sox’s confidence was nearly shattered on Friday night in the bottom of the third inning. Melky Cabrera hit a sharp line drive just above Lester’s right knee cap. At first I didn’t realize what had happened. I wondered how the ball had returned so suddenly to the third base line, and then I saw Lester fall to his back. Horrific memories of an immobile Matt Clement came rushing back, and the stories of Bryce Florie as well (I was not yet a baseball fan when that happened). 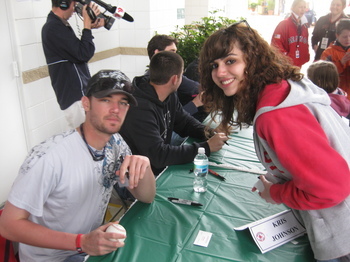 I was almost as petrified as Jon Lester was. Tears welled up in my eyes as I thought of the potential consequences. The ball ricocheted off of what looked like his knee cap, and it did not sound pretty. It could have been a season ending second, and a season altering one. Lester was not carried off of the field, he limped into the clubhouse as the classy Yankee crowd stood for him, and he could barely make it down the stairs. The minutes following the accident were filled with agonizing hypothetical situations. It was impossible for me to imagine the Red Sox pitching staff without our consistent ace in Jon Lester. But when I heard the report that the x-rays were negative and that it was merely a right contusion, I truly breathed a sigh of relief. The fact that he wants to make his next start, albeit a bit unrealistically ambitious, is truly admirable. He is a soldier. The Red Sox may have lost that game, but I think we gained even more from the fact that Lester is okay, and will be able to pitch again this season. died what each and every Red Sox vs Yankee game is all about. It exemplified the notion of a true pitcher’s duel with absolutely stellar performances by both Daisuke Matsuzaka and CC Sabathia. Sabathia stymied the Red Sox offense for seven incredible innings of one hit ball. Daisuke Matsuzaka somehow evaded the irrevocable damage of a bases loaded situation with no outs thanks in part to an absolutely stunning play by Victor Martinez. If giving up one run over seven innings is indicative of the type of pitcher that Dice-K has turned to, then I think he truly deserves a spot in the postseason rotation. If he wants to make up for what he has missed, this is the way to do it. In one hour, the last regular season of the game will take place. The Yankees can clinch the division with a win, but I think I speak on behalf of all Red Sox fans in the following understatement: I don’t want them to. We don’t give up here. Even if Paul Byrd is pitching, we can still win. We don’t go down with out one hell of a fight. Go Red Sox!! Now that there are less than three weeks until pitchers and catchers report, it seems like an evaluation of our teams’ offseason actions would be in tact. The interesting thing about the Red Sox’s offseason, is that it took a while to get started. That’s not necessarily a bad thing though. It’s not like we had a disappointing 2008 season, not advancing to the World Series “isn’t the end of the world” as Manny Ramirez would say. On the other hand, the Yankees had a bit more of a disappointing 2008 season– let’s just say it wasn’t up to their expectations. So they went out and blew spent $20 million more than they should’ve on CC Sabathia. They made a risky investment on AJ Burnett, and they signed Mark Teixeira (this is probably their wisest investment) to an eight year deal. With all of these investments, the Yankees have spent roughly $422.5 million dollars. 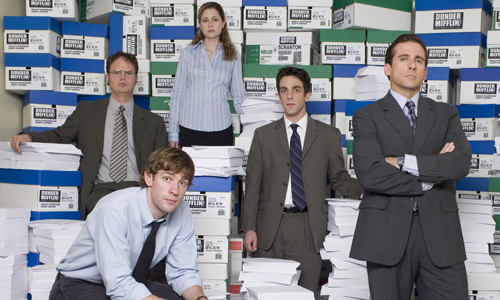 As far as I know, none of these contracts involved “incentives”. Personally, I think incentives are the best type of contracts because you set specific goals for the players to achieve, and if they don’t achieve this goal, then you don’t have to pay them. When the Red Sox signed Pedroia and Youkilis, I really didn’t see much of a need to put incentives in those contracts. First of all, they both finished within the top three for MVP voting, and the last time that happened was 1986. A wise investment? I think so. Plus, both players are products of the Red Sox farm system, and both have mentioned that they love playing in Boston. The Red Sox signed Pedroia for six years, $40 million dollars, and the Yankees signed Sabathia for the same amount of years, but $100 more million dollars than that. Pedroia won the MVP and Sabathia wasn’t even in the top three in the National League. We all know that Mark Teixeira is good, but I feel like with Kevin Youkilis, I’m not even “settling”. Since I’ve established the legality of comparing Youkilis and Teixeira in one of my recent posts, it is needless to say that we are getting Youkilis for one hell of a bargain. I know our starting rotation isn’t the best in the majors, but it’s definitely up there. A lot depends on the durability of Dice-K, if Beckett can bounce back, if Lester can stay consistent, the dancing ability of Wakefield’s knuckleball, and new veterans like Smoltz and Penny. At first, I was all for signing Derek Lowe (after AJ went to the Yankees), but what I wasn’t thinking about was the future (ironic right?). If we had gotten Derek Lowe, that would have seriously displaced the abundance of our young pitching talent. Lowe would’ve been an overpriced (14-11 with an ERA over 3.00 is not worth $14 mil or whatever he was demanding) three year investment, where as people like Smoltz and Penny are low risks with potentially high rewards. Plus, they have incentive contracts, my favorite!! This gives our young pitchers even more time to develop and fine tune everything in the minors, and since both Penny and Smoltz’s contracts are one year deals, it will give our young stars the opportunity to start full time next year. Then there’s the bullpen. In 2008 our bullpen had one of the highest ERAs in the majors, we went out and signed Ramon Ramirez and Takashi Saito. Their statistics speak for themselves, but I have a feeling that the addition of the both of them, plus having Justin Masterson full time, will really solidify our bullpen. 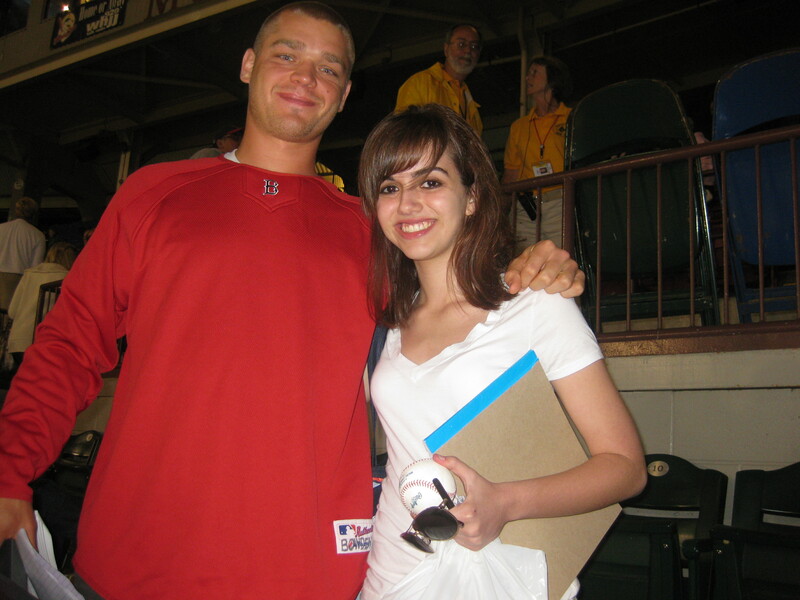 Plus, we signed Papelbon to a well deserved deal. There is still a possibility for that deal to go long term, but I don’t think it necessarily needs to (and neither does Papelbon). The Red Sox could potentially wait until after the 2009 season to sign him to a long term contract, but there is no one else in the Majors I would rather have right now. Not to mention the signings of Josh Bard and Rocco Baldelli. It’s nice that Bard is getting a second chance, but the front office is essentially getting a second chance as well seeing that Theo classified the trade as a “short sighted mistake”. Having a player like Baldelli coming off the bench? Need I say more than that? Once you look at all of these signings up close, it seems like it all kind of crept up on you. Just the other day, my math teacher asked me: “Since when did the Red Sox bullpen become so good?”. It has been reported that the Red Sox have included a deadline with Varitek’s latest offer. Deadline or no deadline, it doesn’t make a difference. Varitek needs to take this deal if he wants to have a job in 2009. That’s how scary the market is, if he doesn’t take this offer, he might not have a place to play. Yeah, it will be a pretty big pay cut, but a lot of players have taken some major league pay cuts. Jason Varitek, it’s up to you. 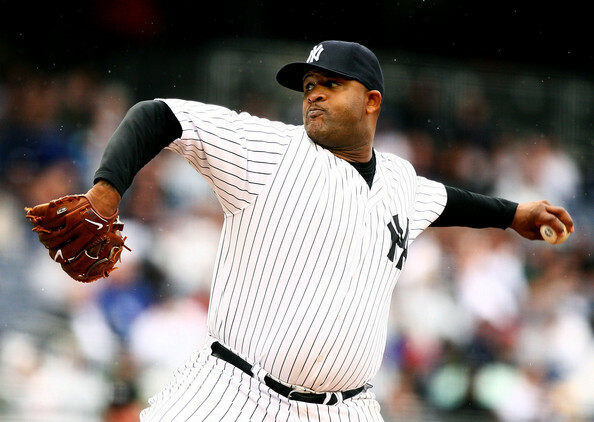 After roughly three weeks, CC Sabathia finally signed with the Yankees. The Yankees initially offered Sabathia six years at $140 million, but upped their offer to seven years $160 million. That was unnecessary, in my opinion, and a waste of money as well. Sure it had taken Sabathia a long time to respond, but the Brewers offered him $100 million, and there was a $40 million dollar difference to begin with, and no California team had made him an offer. It did not seem like the Yankees needed to increase their offer, but perhaps they did so to make it clear to Sabathia that the Yankees were indeed, the highest bidders. So what does this mean for our classic rivalry between the Yankees and Red Sox? Well the Yankees really just bolstered their starting pitching, so that really puts them in contention for the AL East title. Now, that’s not to say that they weren’t in contention this past year… they had a lot of potential, but they were just plagued with injury after injury. The AL East is going to be absolutely crazy this year with the Rays, the Red Sox, and the Yankees. I haven’t heard much on the Hot Stove about the Rays, it’d be smart for them to lay low, they don’t really need to make any moves since they did get to the World Series. The Red Sox are in the “top four finalists” for Mark Texieria, as well as the Angels, Orioles, and Nationals. Then again, like I’ve said before, I really don’t think that we need him that badly. Sure he’d be a great addition since he’s young, a .300 hitter, and 30 HR hitter, but we got to Game 7 last year! It’s not like we were in last place, dying of run support (well, sometimes run support). We had 95 wins last year, if we don’t get him, it’s not the end of the world. The Yankees could be adding more to their starting rotation, they reportedly made an offer for five years to AJ Burnett, and are looking into Derek Lowe as well. The Yankees and the Phillies are reportedly the top two bidders on Lowe right now. Now, I know this probably won’t happen, but can you imagine if the Yankees added Burnett, and Lowe, retained Andy Petite, and had Cheng Meng-Weng (yes, I know, spelled incorrectly)? That would be absolutely insane. So back to the question: what does this mean for the Sox-Yankees rivalry. Well, remember that the Sox have faced Sabathia before, when he was in an Indians uniform in the 2007 ALCS. Sabathia won the Cy Young award that year, but I honestly think that Beckett should’ve won it that year (I’m not saying this as a biased Red Sox fan either). The Beckett and Sabathia matchups were absolutely incredible and beautiful to watch. 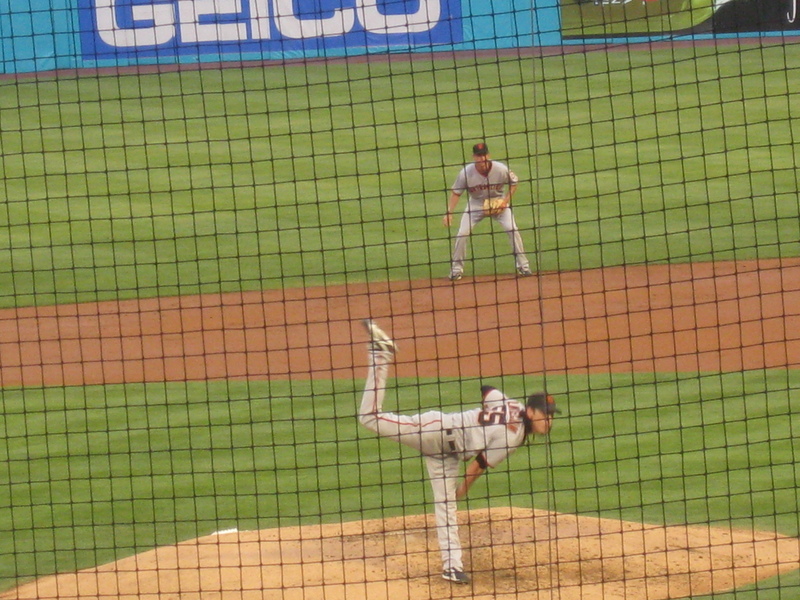 The two best pitchers in baseball (at that time) going head to head. Beckett prevailed in both of those games, and wound up being the ALCS MVP. Now that Sabathia is on the Yankees, this means more Beckett vs Sabathia matchups hopefully (if the rotations work out that way). This means that the Red Sox vs Yankees games this year are going to be better than ever! On to some Red Sox news and rumors (of course). Like I said, we’re in the top four contenders for Teixeria. 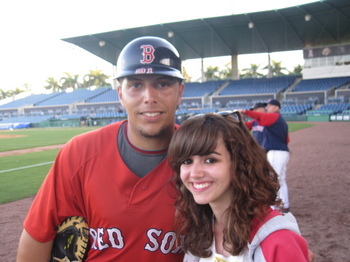 If he does come to the Red Sox, I am resolved to learn how to spell his name. I can spell Yastrzemski but I can’t spell Teixeria? Anyway, the in the Rule 5 draft, the Sox selected Angels right handed pitcher Miguel Gonzalez. No other team has made an offer to our captain besides the Red Sox… the terms of the deal are unknown. Kevin Cash is available for arbitration, I did not know this, but it could be that he won’t fit into the plans for the Sox next season, he is the most likely candidate to be “non-tendered”. It seems like the Sox would be looking like a “complement” to Varitek with more offensive potential than Cash.